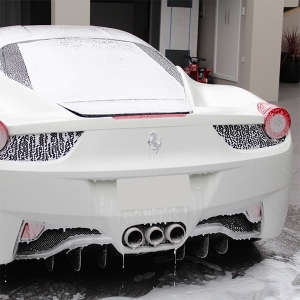 Ceramic Pro is designed to protect your factory clear coat, to provide a protective shield against the elements and to keep your vehicle looking new, always. To maximize the effects of Ceramic Pro and to ensure your investment is long lasting, a few basic maintenance steps should be taken. With simple care, your coating will reward you for years to come. 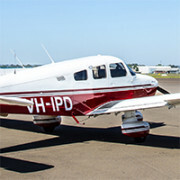 Partial Curing time is 12 hours depending on environmental conditions such as humidity and temperature, after this period the coating can get wet. Full Curing (hardness) time is 2-3 weeks depending on environmental conditions such as humidity and temperature. The coating is less likely to water etch than your factory clear coat, but it can get waterspots during the Partial Curing period of 12 hours, so please keep it dry! If you notice that your car gets bird droppings, tree sap etc. during the first two weeks, immediately remove it following our care instructions. Avoid washing in direct sunlight to avoid water spotting. Hose down thoroughly to remove any loose contamination. Always use a pH Neutral car wash shampoo. 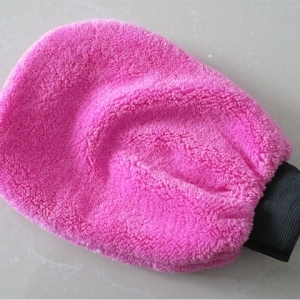 Reduce surface friction by using high quality microfibre wash mitts free of debris, never rub or scrub the paint. Work top down as heavy dirty and grime accumulates on the lower panels, rinse your wash mitt regularly to ensure dirt and grime is not being put back onto the paint. Avoid letting tap water dry on the surface, as this may cause water spotting. Always use a soft microfibre drying towel free of debris, never rub or scrub the paint. Avoid using leather or pva chamois. 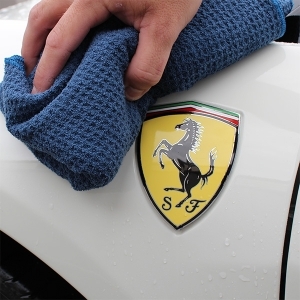 A soft hand wash is the recommended method of cleaning your vehicle. Automatic car washes, diy brush washes or car wash cafes can cause damage to the coating due to abrasion. What people with Ceramic Pro have to say.. 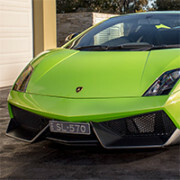 Thanks once again for your professional service, recently applying Ceramic Pro to the Lambo SL. The results are amazing and speak for themselves.